Photo: A panoramic view of an amphitheater in Pompeii. Our tour group gathers on the ground in front of the stone stage. Rows and rows of stone seats arc around the stage. Photo: With cloud-covered Mt. 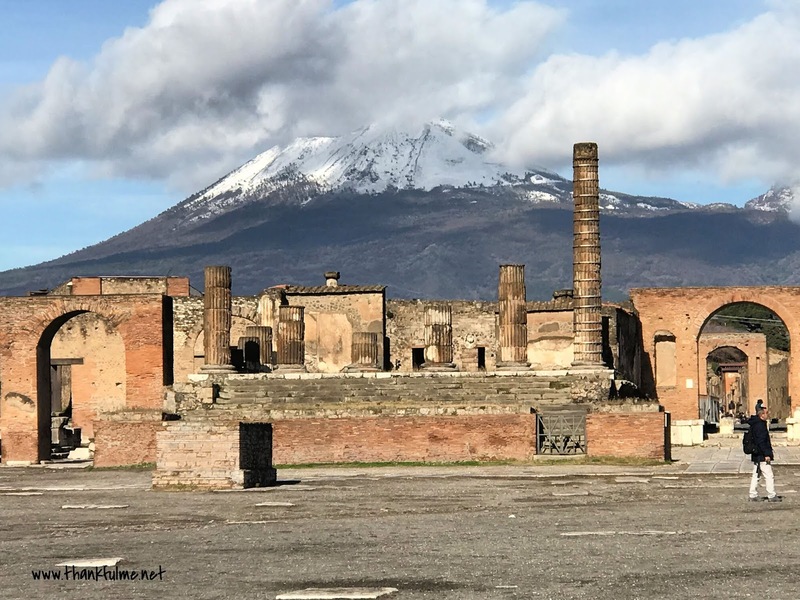 Vesuvius in the background, stone archways stand on either side of the columned ruins of the forum at Pompeii. Photo: Stone steps lead to the ruins of the temple of Apollo in Pompeii. Much of the building is gone, but two tall columns stand prominently in the front corners. 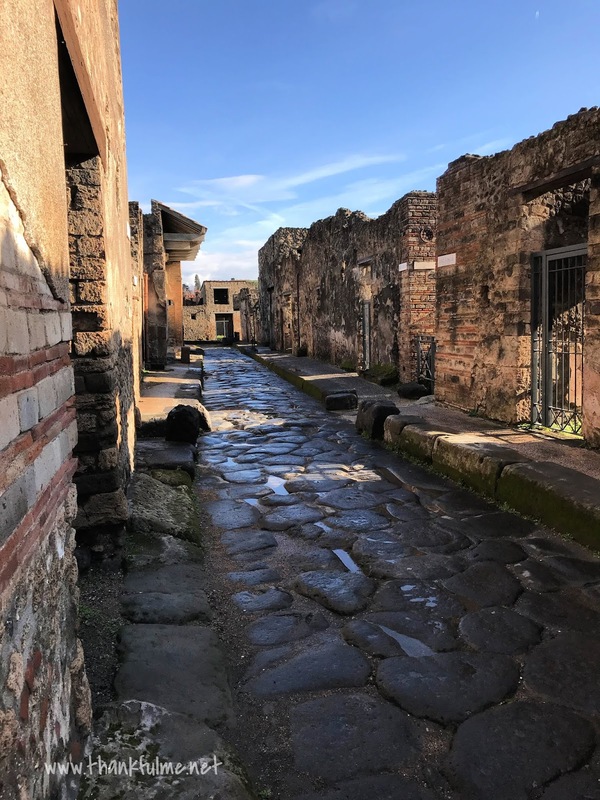 Pompeii's wide streets, as compared to the narrower paths in Herculaneum, allowed carts to pass through the city. Ruts that were carved into the stone roads by those carts are visible even today. Large flat stones provided a walkway for pedestrians to cross the streets without having to step into the raw sewage that also traveled down the streets. Photo: A stone road in Pompeii. Larger flat stones are set on top of the road, providing a walking path for pedestrians. On either side of one of the larger flat stones, ruts from carts are still visible today. Because the tour guide in Herculaneum had emphasized how well preserved the ruins there were due to the mud, I was somewhat surprised to see so much color on the walls in Pompeii. 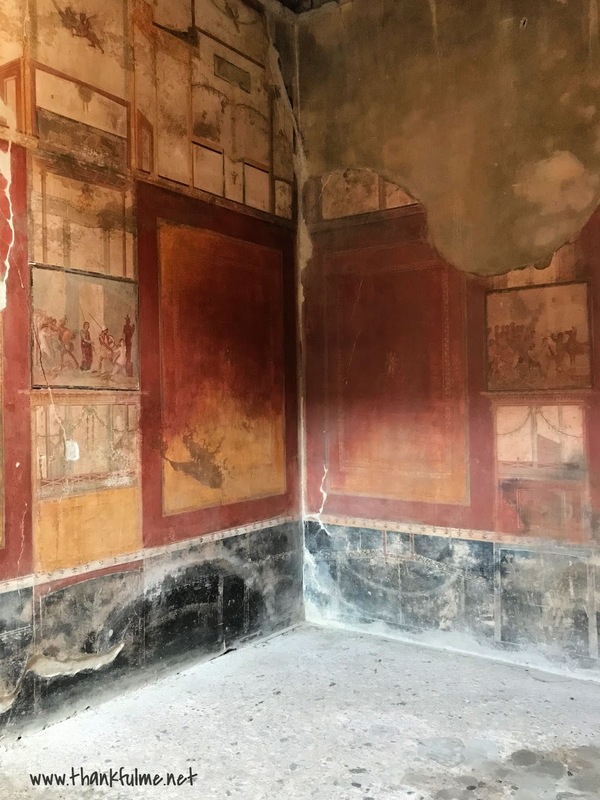 Yes, Herculaneum was spectacular, but Pompeii also had some murals which were preserved. Photo: Although part is missing on the upper right-hand wall, murals cover two walls of a house in Pompeii. Though the images are faded, figures can be seen. Vibrant red and yellow colors are most pronounced. I would be hard-pressed to choose between Herculaneum and Pompeii. I appreciated being able to see both towns. I recommend a visit during the off-season, if possible, as that allowed us to enjoy cooler weather and we practically had the sites to ourselves. Do you prefer well-known sites or "hidden gems"? 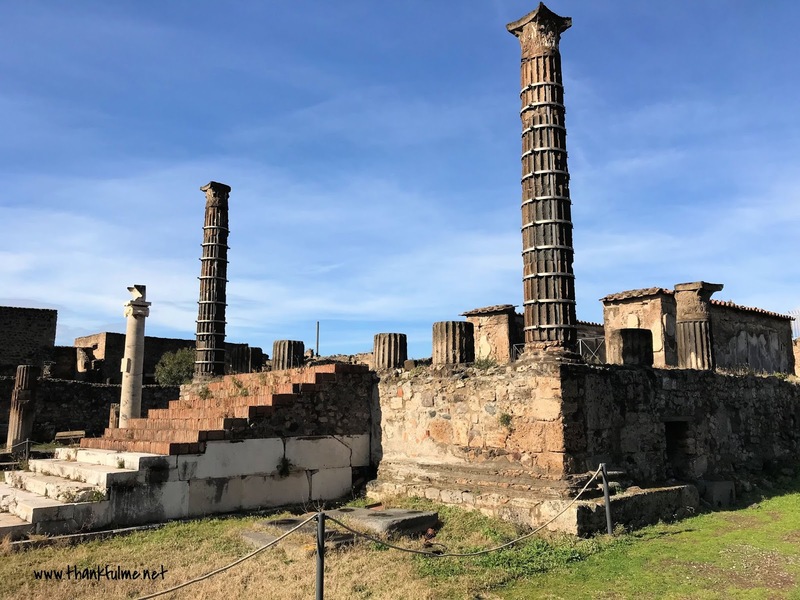 Thank you, Kristi, for sharing more photos of your trip. I love hidden gems anywhere, but being able to personally see the sites of the history books, movies and videos would also be amazing. That brought back some memories. 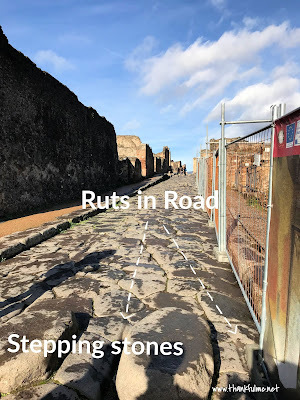 The ruts in the road impressed me, as did the lead pipes used to bring water to the city. Hidden gems impress me, i am always on the look out for them. Yes, the lead pipes! I forgot to add that detail to my post. I've always wanted to see Pompeii. 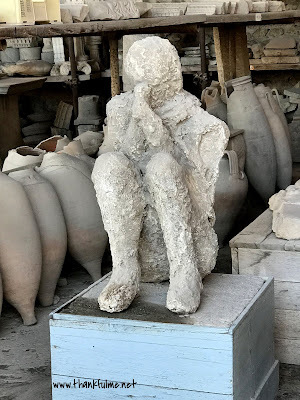 I'd never heard of Herculaneum before, but now I want to see it, too! So cool! Oh, that museum sounds fascinating! I do want to visit Missouri, though it might not be this year. Spring, perhaps?